Language users of all ages and proficiency levels – from foreign language students to experienced translators – have often experienced the desperation caused by sequences of words whose meaning has none or little relation to the meaning of its constituents. This problem has not been adequately addressed in foreign language teaching methods, and, more often than not, dictionaries are of little help. Developers and users of automatic translation software are aware of the fact that idiomaticity and fixation have become the major issue in cross linguistic communication, and applied phraseological studies become a primary need once we acknowledge the frequency of this phenomenon and its prevalence in language economy. The great challenge for modern lexicography, especially cross-linguistic, is now to provide an adequate representation of formulaic and idiomatic combinations like idioms and collocations that are more and more considered as the object of a necessary branch of linguistic studies, though this task is far from easy. 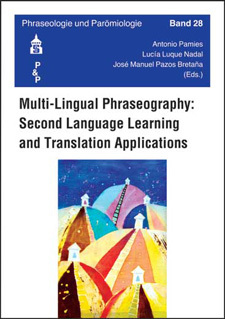 In this book, international specialists in theoretical contrastive linguistics, applied translatology, and phraseography, discuss their research and reflections on that important issue, taking especially into account its application to dictionary creation and language teaching.